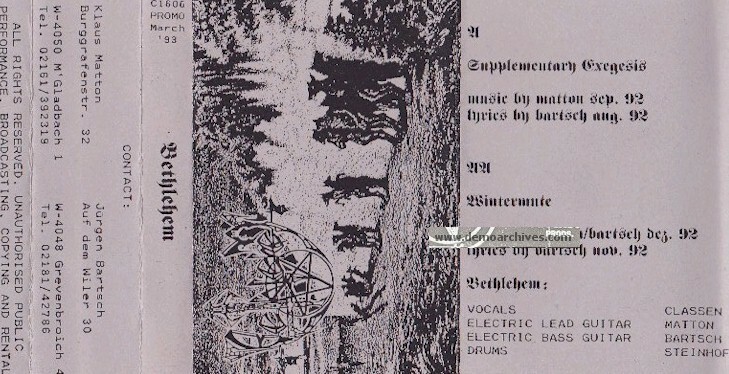 Bethlehem is a German extreme metal band from Grevenbroich, formed in 1991 by Jürgen Bartsch and Kläus Matton. Before starting Bethlehem, Bartsch and Matton used to play in a German Thrash metal band called Morbid Vision. With their debut album from 1994 coined the band the term "dark metal". Pro printed covers. Also known as the Thy Pale Dominion Demo. Limited to 333 copies. 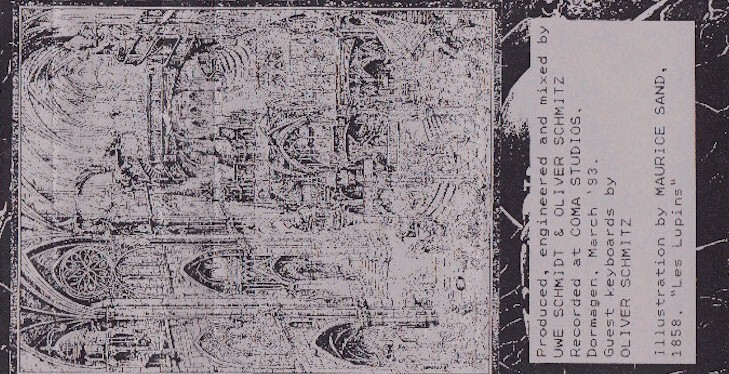 Re-released in June / July '93 as the 7" "Thy Pale Dominion", with extended tracks and a new cover, by Nightmare Records. 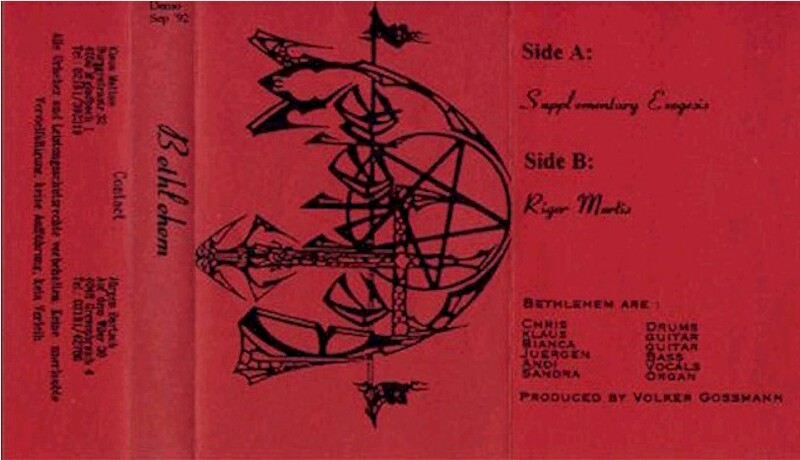 Re-released again in May '95 by Red Stream. Xeroxed covers and regular tapes. Same as above but with bonus tracks.